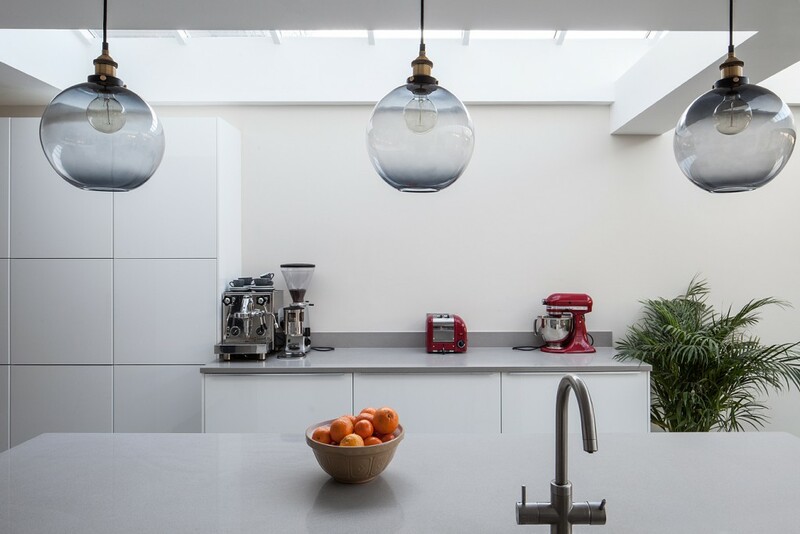 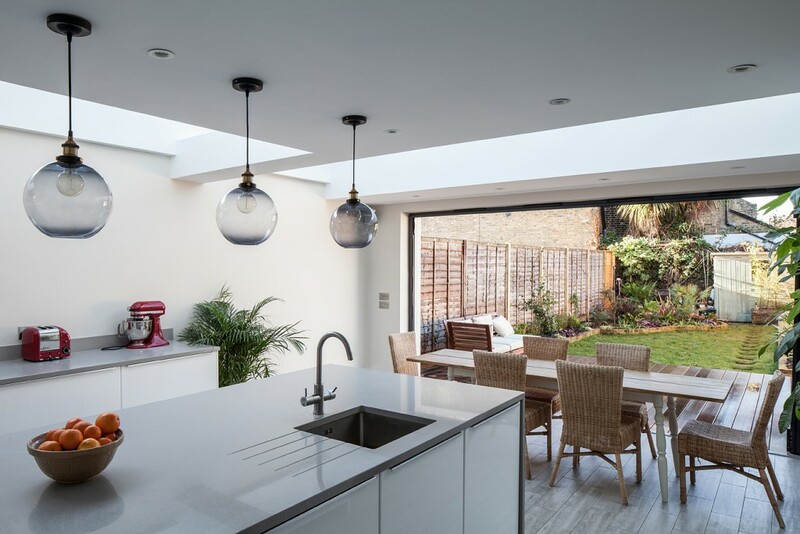 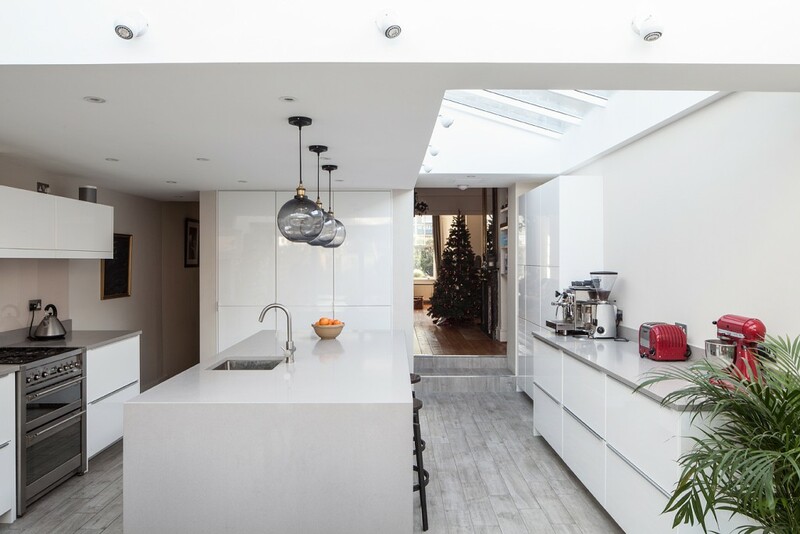 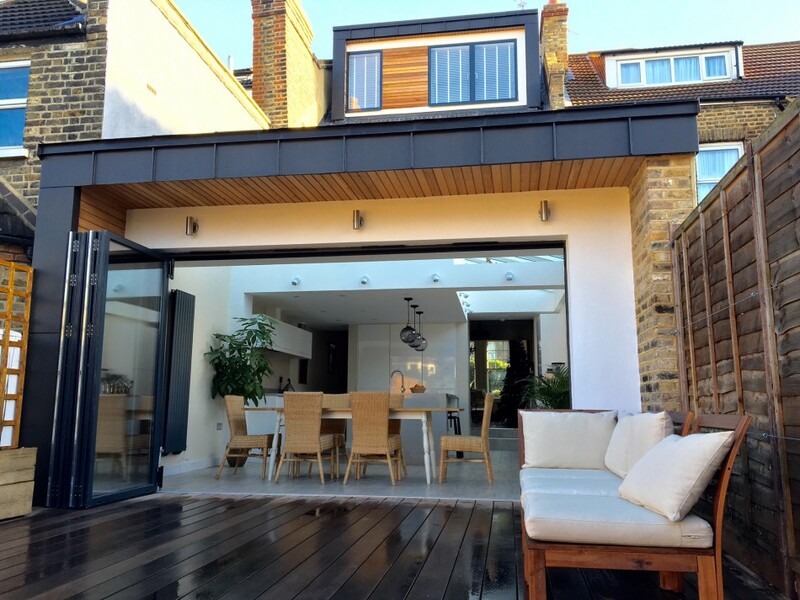 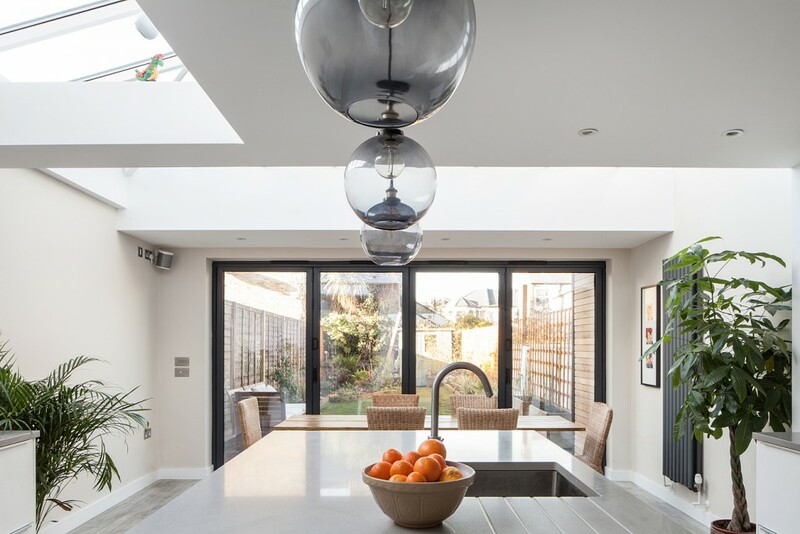 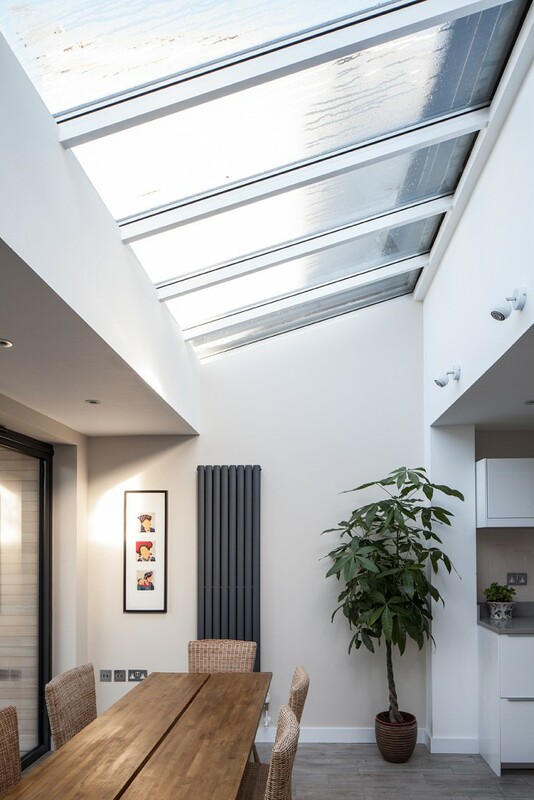 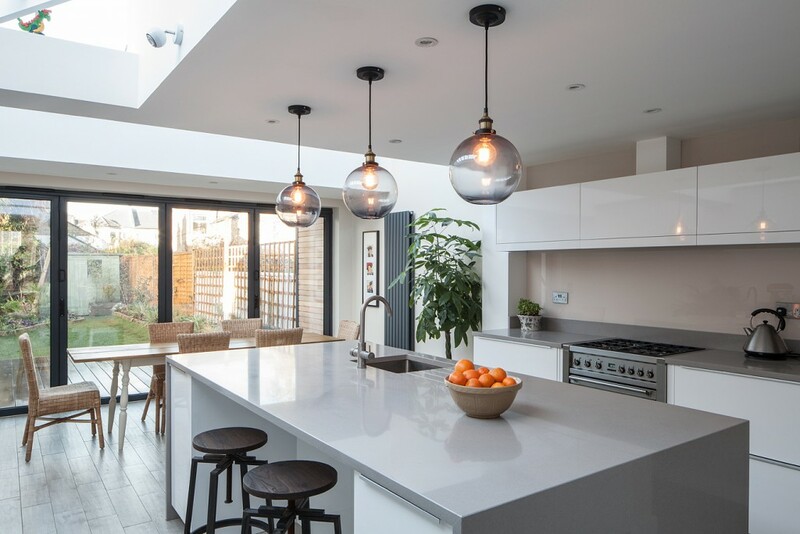 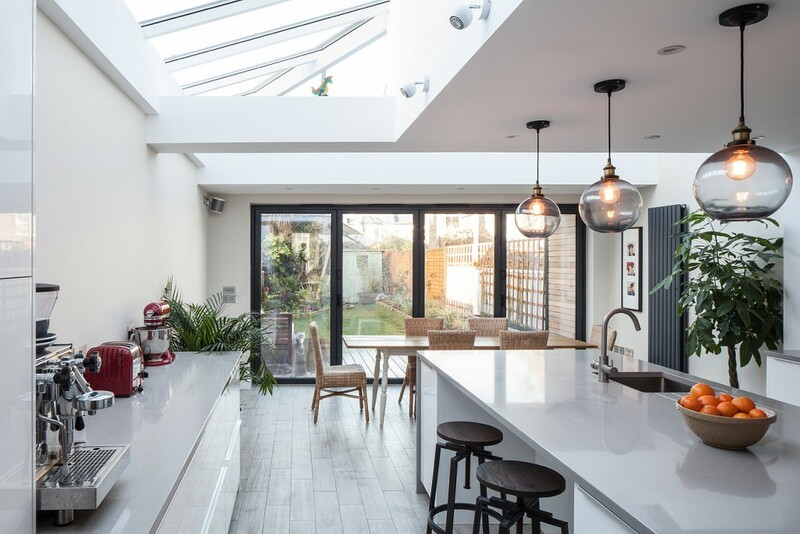 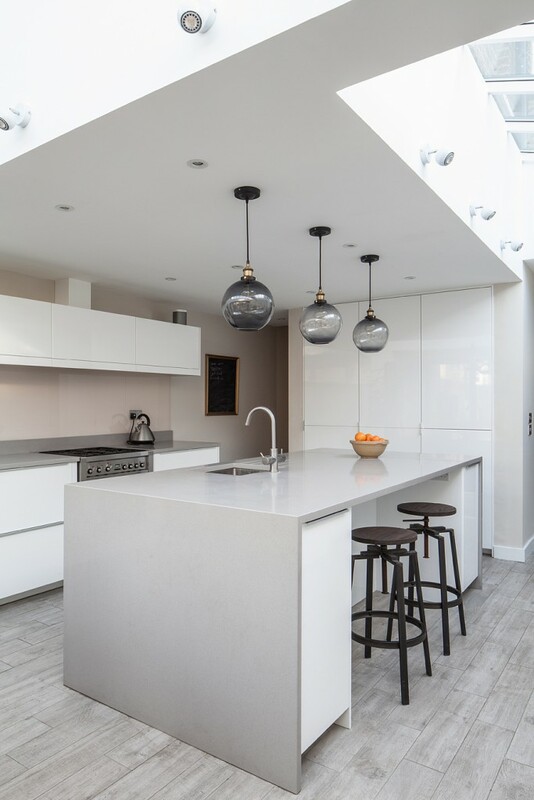 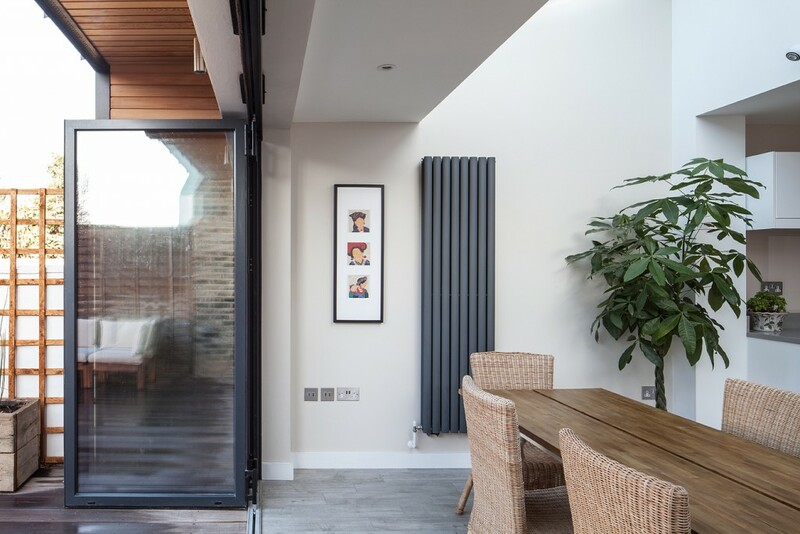 This project comprises of 2 main areas of work: a wrap-around rear extension at the ground floor level with internal alterations and refurbishment works; and a rear dormer roof extension with a guest bedroom, and ensuite bathroom space. 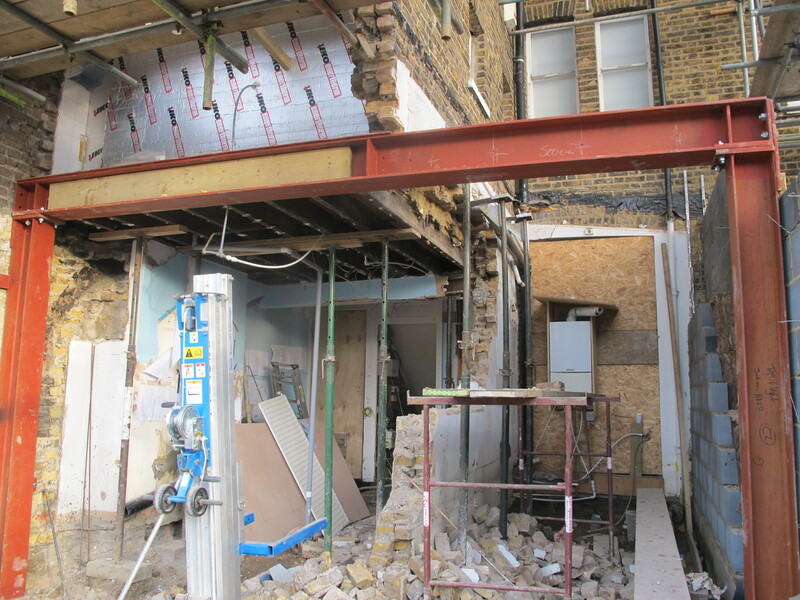 An existing conservatory was demolished to make way for the new wrap-around extension at ground floor level. 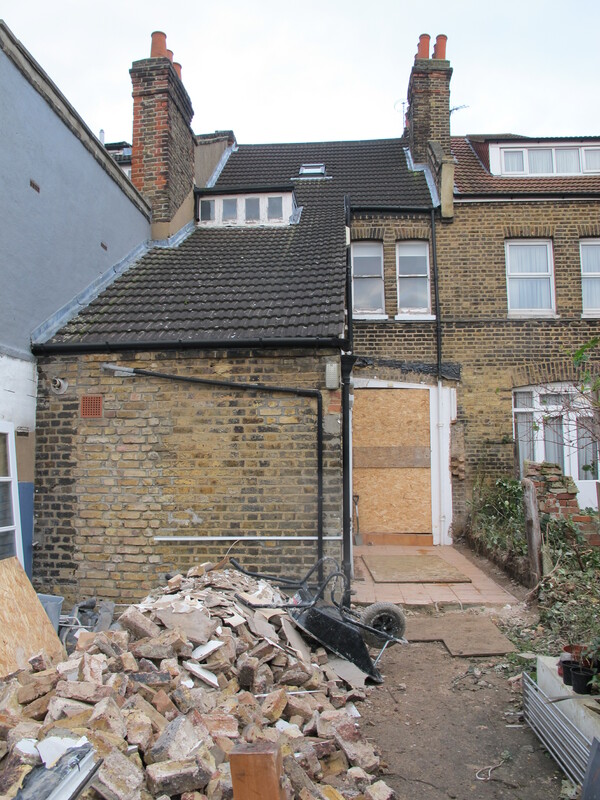 The existing walls to the side and rear of the house were demolished to provide an extended area accommodating kitchen, dining, and living space. 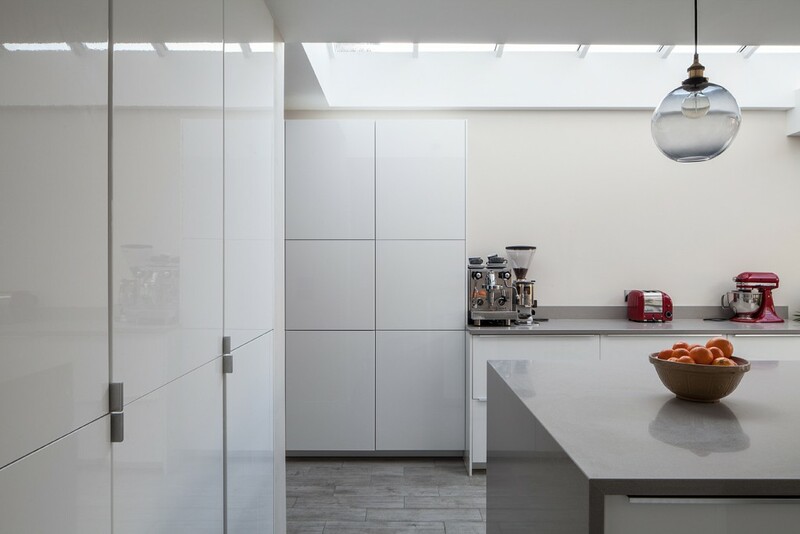 A separate toilet, and a utility cupboard were also provided. 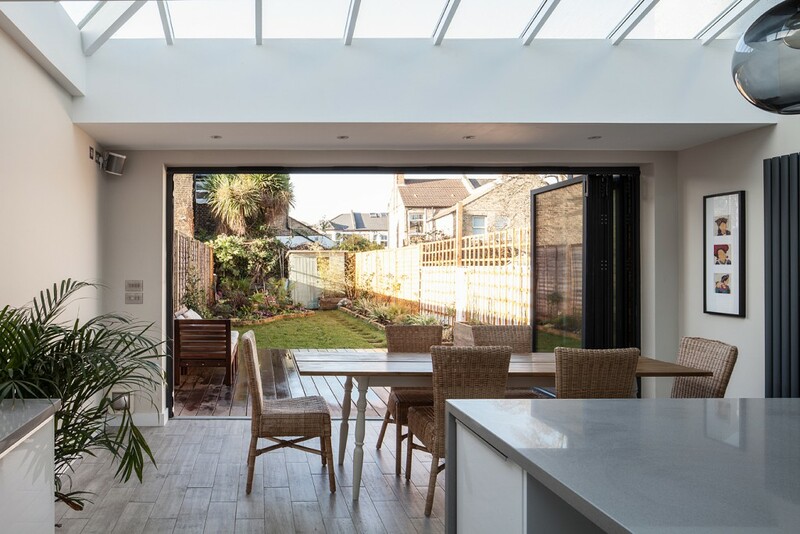 The roof of the wrap-around extension is fully glazed which floods the extension with natural daylight. 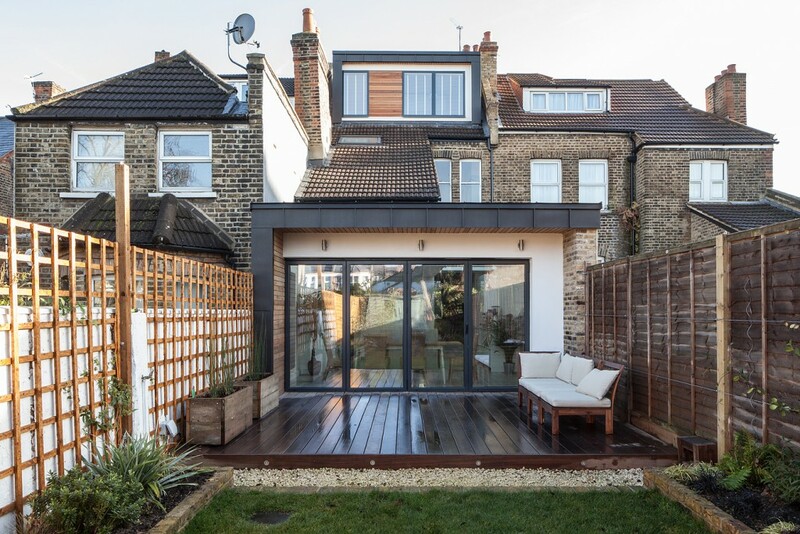 The rear dormer at roof level was designed to read cohesively with the rear extension. 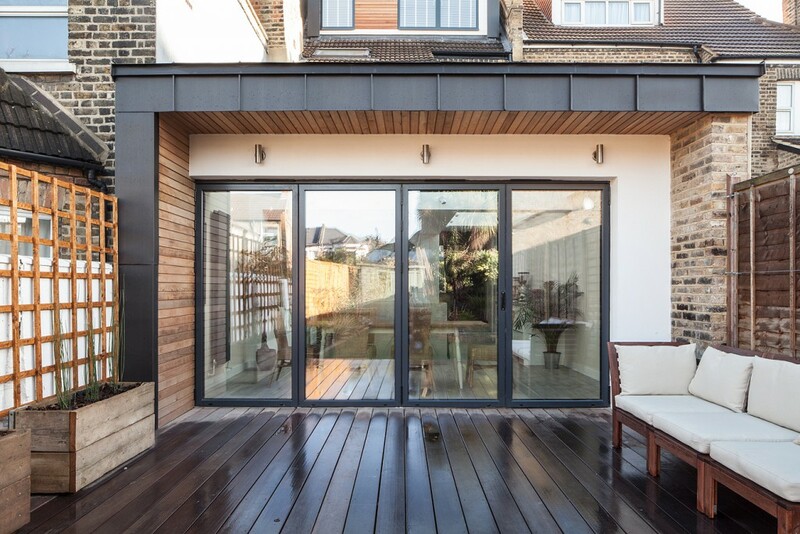 The external materials were carefully considered and include zinc cladding, and western red cedar rain screen cladding.